Zion National Park is located in the heart of Southern Utah's Color Country and is Utah's most popular national park. Zionis home to breathtaking scenery and some of the most rugged, mountainous terrain in the West. 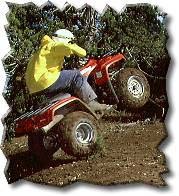 While ATVs (all-terrain vehicle/4-wheeler) riding is not allowed within Zion Parkthere are thousands of acres of private property located on high plateaus overlooking the Park's famous canyons. 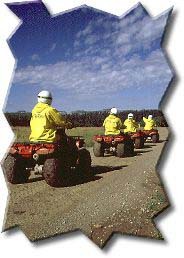 ATVs are the modern, mechanized horses that offer a new brand of adventure and the ability to go places that are difficult for even horses!